You can still enjoy the beauty of Cornwall when you visit us during the winter. Our ever-changing landscape becomes more windswept and dramatic, and visitors wrap up warm as they enjoy the stunning sights of West Cornwall, before stopping for a pint in a cosy Cornish pub or warming up with a hot chocolate at one of the many beach cafes. What are our top recommendations for things to do in West Cornwall during the colder months? 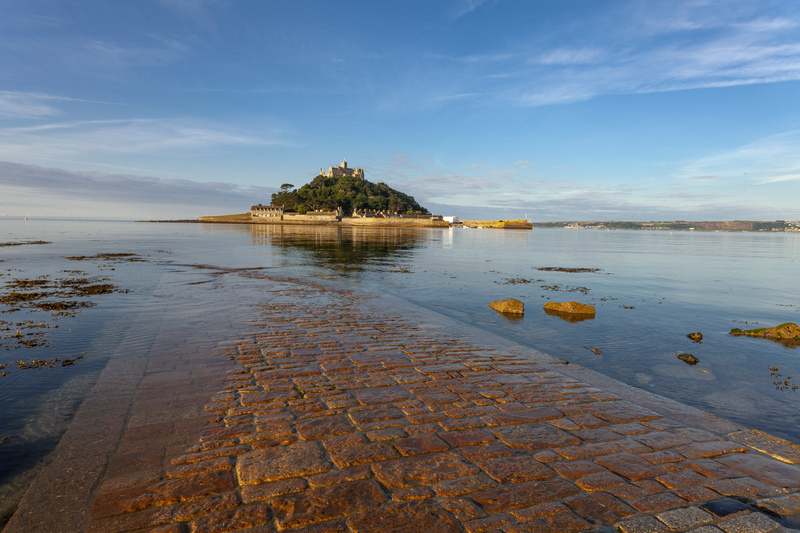 Our iconic castle and gardens may be closed, but visitors are still welcome to cross the causeway when the tide is out and walk around our island home. Enjoy the views of the village of Marazion from the island and take photos of the sunsets. Wrap up and enjoy a blustery walk on Marazion beach, and take a wander through the streets of the village. There is nothing more invigorating on a cold and bright winters today than to don your wellies, scarves and mittens and go for a big walk in the woods. Visit Trevaylor Woods, just outside Penzance on the Gulval to Newmill road (TR20 8UR). Tehidy Country Park, near Camborne, has over nine miles of paths set in 250 acres of woodland and lakes. Newlyn is home to a wonderful independent cinema, Newlyn Filmhouse – a two screen arts centre located in a former fish warehouse. With a mix of arthouse indies and popular new releases, it’s sure to offer something to please – and it has a brilliant licenced café on the first floor. The Savoy Cinema in Penzance has recently undergone a huge refurbishment, offering the latest blockbusters and crowd-pleasers at affordable prices. 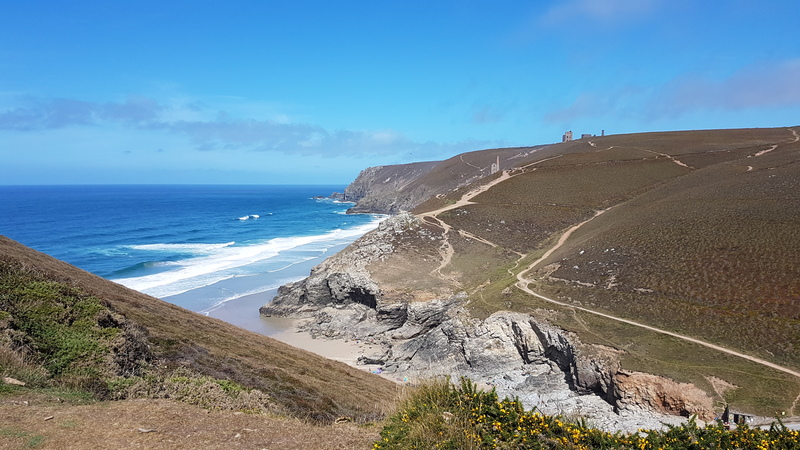 We’re lucky in this part of Cornwall to have the South West Coastal Path running around much of our landscape – enjoy fantastic walks from many locations around the west of the country. Stock up on our wonderful local produce – and have a hot chocolate and a cake while you’re there! Visit some of our great independent farm shops and stock up some delicious, locally grown produce. Trevaskis Farm is open year round, with a fantastic range of fresh goods in store, a well-loved restaurant famous for its desserts – and your kids can visit the animals on the farm free of charge. St Buryan Farm Shop offers great coffee, snacks and an outdoor play area for the kids as well as the chance to pick up some groceries. What could be more enjoyable than a locally brewed beer enjoyed in a traditional Cornish pub in front of a roaring fire? Our favourites include The Turk's Head and The Admiral Benbow in Penzance, The Ship Inn in Mousehole and The Mexico Inn at Long Rock. The waves can be even bigger in the winter, so come down and enjoy some of the best surf the country has to offer. 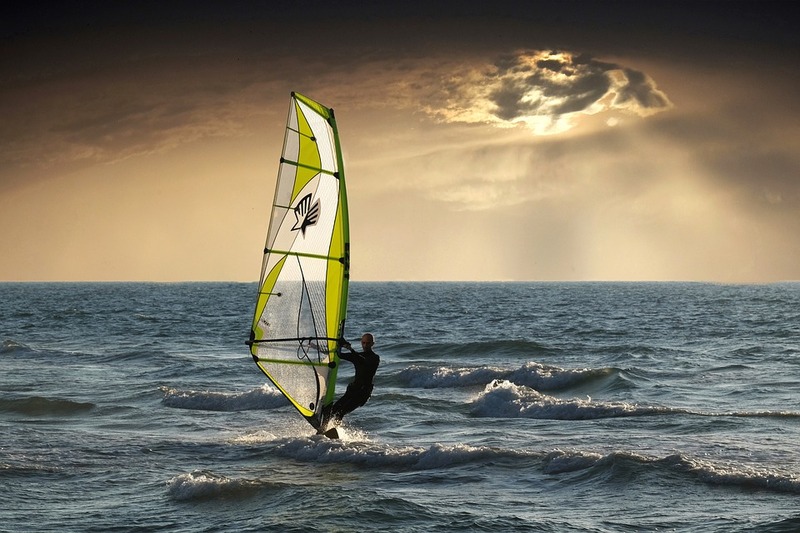 Its possible to find expert instruction year round in Cornwall, and this could be a great opportunity to enjoy something new – wild swimming or windsurfing can be done in the winter. Enjoy the beauty of St Ives while it’s quiet in the winter, and pay a visit to the ArtFund Museum of the Year, Tate St Ives. Our part of Cornwall has a rich history when it comes to contemporary art, and this is your chance to immerse yourself in some of the best there is to offer. Enjoy your visit to Cornwall and don’t forget to tag @stmichaelsmount in on any photos you take while you’re visiting the island over the winter! Missing us already? Enter your details here and you won’t miss a thing.